Home / Adviart Blog / Keep being strong. Whatever happens, keep strong. This shell is artistically designed using purple and blue. There is a happy face on the bottom that fills the shell with a sense of sunshine. The surface is flat and the words take over the entire shell. 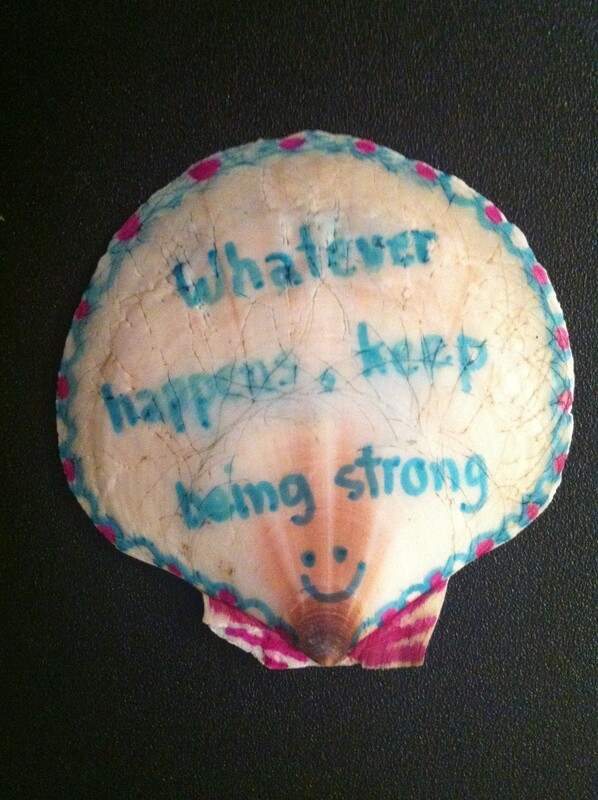 The shell reminds me that opportunities in life present us with a choice each day, to be strong or weak. I think strength comes from mental discipline–the ability to understand, decipher, and plow a path moving forward. How can I build strength in my mind? How do you become strong no matter what is placed in front of you?